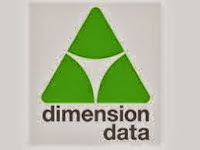 # Dimension Data is simply a great place to work. # We are also a successful company. Business Week agrees - they rated us as number 21 of the 100 strongest growth companies in the IT sector. # We have won more global CISCO, Microsoft, Tandberg and Bluecoat awards than any other company in the world. Impressive - don't you agree? # To build on our success we are looking for an Associate Engineer Level 1. # In order to achieve this we have dedicated teams of engineers on standby to help our clients plan, build, support and manage their IT infrastructures. # As an Associate Engineer at Dimension Data, you will be tasked with developing configurations and installations, as well as solving technical problems of a medium complexity. # You will work closely with and be under the supervision of engineers and senior engineers.